Getting a driver’s license in Alberta isn't too much different from other provinces. Much like in Ontario and other provinces, Alberta drivers must complete a graduated licensing system to become a fully licensed driver. This involves passing a knowledge test, road test, and successfully completing learner’s and probationary periods. It is a process that the more than 3 million licensed drivers in Alberta have completed. 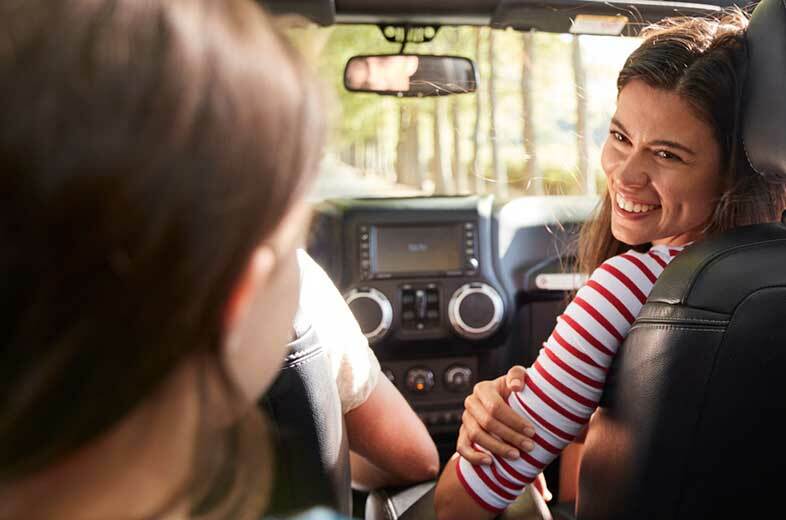 Whether you are a new driver just learning to drive, it’s time to renew your Alberta driver’s license, or you are new to the province, this Alberta driver’s license guide will answer your questions and provide you with the information you need. What Is GDL Licensing In Alberta? Alberta uses a graduated driver’s licensing (GDL) system. The GDL license system was designed to ensure all new drivers gain the necessary experience, knowledge, instruction and support to pass the required road tests and knowledge test. The GDL license is comprised of stage one learner and stage two probationary periods. How Much Does An Alberta Driver’s License Cost? 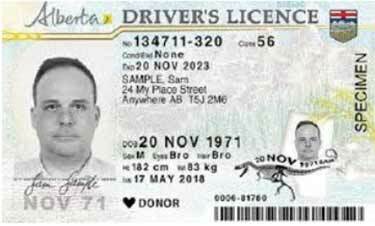 How Do I Get My Driver’s License In Alberta? All new drivers must complete the two-stage process to become a fully licensed driver. It takes a minimum of 3 years to complete both stages of the graduated driver’s licensing system in Alberta. Pass a vision and knowledge test. Have parental consent if you are under 18. You must have your learner’s for at least one year. You must be accompanied by a fully licensed driver at all times when driving. You are not allowed to drive from midnight to 5am. Your license will be suspended if you accumulate 8 demerit points (15 for fully licensed drivers). Have a learner’s driver’s license for one year. You must have your probationary driver’s license for at least 2 years. Your license will be suspended at 8 demerit points (15 for fully licensed drivers). You cannot upgrade to a commercial driver’s license. You cannot act as an accompanying driver for learner drivers. Pass the advanced Alberta Class 5 road test. Be suspension free for the last year of the probationary stage. How Long Do You Have To Wait To Get Your Driver’s License In Alberta? It will take a minimum of 3 years to become a fully licensed driver in Alberta. It takes 4 years if you get your learner’s license at age 14. You must have your stage one learner’s license for 1 year and spend 2 years as a stage two probationary driver. How Old Do You Have To Be To Get A Learner’s License? You must be 14 years of age to get a learner’s license in Alberta. You are required to pass a vision and knowledge test. Which Alberta Driver’s License Tests Do I Have To Pass? Where Can I Get The Alberta Driver’s License Handbook? You can download a copy of the Alberta Driver’s License Handbook for free from Alberta Transportation. Get it here. You can also go online and take practice exams to test your knowledge. What Are The Alberta Driver’s License Classes? 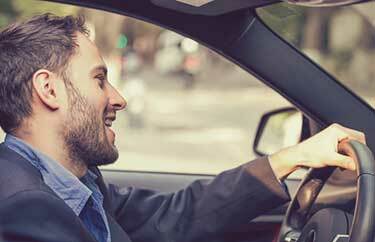 To qualify for certain driver license classes, additional driver’s training may be required. What Is The Alberta Driver’s License Renewal Process? It’s important to renew your driver’s license prior to expiry. 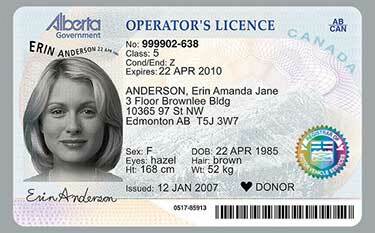 Alberta licenses have a 1 to 5 year expiry date based on your license class and other factors. Your expiration date will be on the back of your driver’s license. What Do I Need To Renew My Driver’s License? Your current driver’s license. Copies are not accepted. You may also be required to provide a medical form if you are over 75 years old, or have a class 1, 2, or 4 driver’s license. Can I Renew My Alberta Driver’s License Online? No. Driver’s licenses in Alberta must be renewed in person. You cannot renew your driver’s license online. How Much Does It Cost To Renew Your License In Alberta? It costs $84.45 to renew an Alberta driver’s license. If you have an out of province driver’s license, an additional $7.35 will be applied. I Have An Expired Driver’s License In Alberta. Can You Renew A Driver’s License After It Expires? Yes. You have up to six months once your driver’s license expires to renew it. Once your license expires, you are no longer legally allowed to drive. If it has been more than 6 months, you will be required to provide a birth certificate, passport, and other documentation, such as proof of residency in Alberta to renew. If your Alberta driver’s license expired more than 3 years ago, you will need to pass the written knowledge test and road tests before you can get a new driver’s license. Is There A Fine For Driving With An Expired Alberta Driver’s License? Yes. It is an offense to drive without a valid driver’s license. If caught, you could receive a fine of $200 or more. How Much Does It Cost To Replace A Lost Driver’s License In Alberta? I lost my Alberta driver’s license, now what? Visit a registry agent in person if your driver’s license has been lost, stolen, or damaged. You will be charged a $22.45 replacement fee. If your license has been stolen, it’s recommended you file a police report. Is There A Fee For An Alberta Driver’s License Address Change? Yes. There is a $22.45 fee to update your personal information on your driver’s license. You are required to update your driver’s license and vehicle registration within 14 days of an address change or other changes to your personal information. Visit a registry agent in person to complete the address change. You will be issued a temporary license until your newly updated license arrives in the mail. If you are new to the province of Alberta, you have 90 days to exchange your current driver’s license for an Alberta driver’s license. You will be given a license that is equivalent to the class of license you are exchanging. You do not need to exchange your driver’s license if you are visiting from another Canadian province to study or work temporarily. Learn more about how to exchange a license from outside Alberta. How Do I Upgrade To A Professional License In Alberta? Have a full class 5 driver’s license and be at least 18 years of age. Take a knowledge test – cost is $17. Pass a road test – cost varies by registry agent and location.